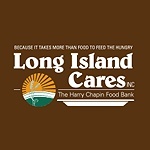 Subject: LongIsland.com - Your Name sent you Event details of "Long Island Cares Mobile Food Pantry"
Long Island Cares will have a mobile food pantry van on site at the library for a 3-day supply of food. There is no identification needed to pickup your food while supplies last. For additional information, please call the library or visit our website.